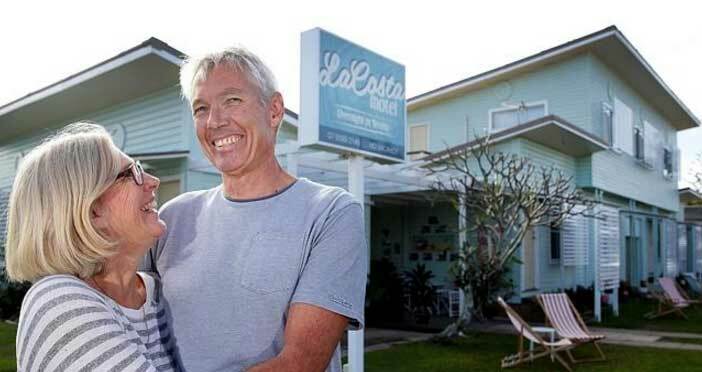 12 years ago, owners John and Diane Cartmill bought La Costa Motel and Flats at Bilinga, a 50 year old weatherboard motel opposite the Gold Coast Airport. The previous owner, Coral Halley lived upstairs until she was quite elderly and managed La Costa for over 30 years taking overnight and holiday guests. Coral eventually sold out due to poor health. John’s brother- in-law Ken Taylor managed the motel for a few years. Ken’s family history dates back to Coolangatta where his father, Stan built the Athol flats at Rainbow Bay (now Columbia Apartments). As times moved on, the units changed to weekly accommodation and over the years La Costa motel has seen a myriad of guests. Some loved, some that would rather be forgotten but all of them added their colourful characteristics to the history that makes La Costa to what it is today. Times have changed and now John and Diane have moved back to breathe life back into La Costa, They have lovingly restored and revived the property and are running it as a motel once again . La Costa Motel was built in the 1950s and was nominated as one of the original ‘Highway Heritage’ motels of the Gold Coast. 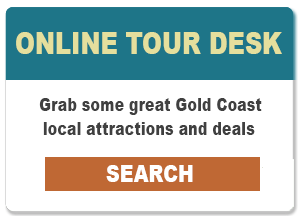 In April, 1999, the Gold Coast City Council in conjunction with The Gold Coast Heritage Advisory Service showcased an array of photos, seminars and discussions on the Gold Coast motels and their history. La Costa Motel was fortunate to be included in this collection. Let us share some of the lovely stories of the early Gold Coast Motels. It is with enthusiasm and delight that we have renovated La Costa Motel and kept the important features, such as the colour of the building and its neon light box. The colour of the sign has changed but retained its original lettering. Rooms inside have changed to comfort and style but never forgetting the original theme with its ‘playfulness and fantasy’. Enjoy what La Costa has to offer – continental breakfasts , fun in the sun, beach fishing rods, and the casualness of only a motel by the sea can offer. © Copyright 2016 La Costa Motel - all rights reserved.